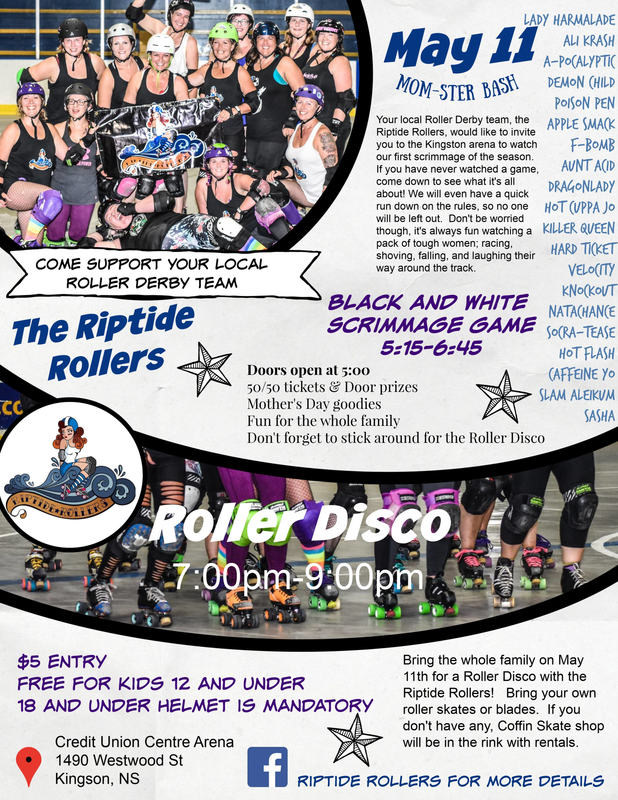 In celebration of Mothers Day, come on out and join the Riptide Rollers for their 1st ever Roller Disco at the Kingston Arena (Credit Union Centre). Bring your own roller skates (inline is fine too) or if you don't own skates, there will be a variety of sizes which are available to rent from Coffin skate. (Kids 0-3, Adults 4-13) Children under 18 must wear a helmet (not included in rental fee). Children 12 & under get in FREE. Music will be provided by NataChance 50-50. Come early (5:15 Scrim start) and see the black & white scrimmage, all included in your ticket.